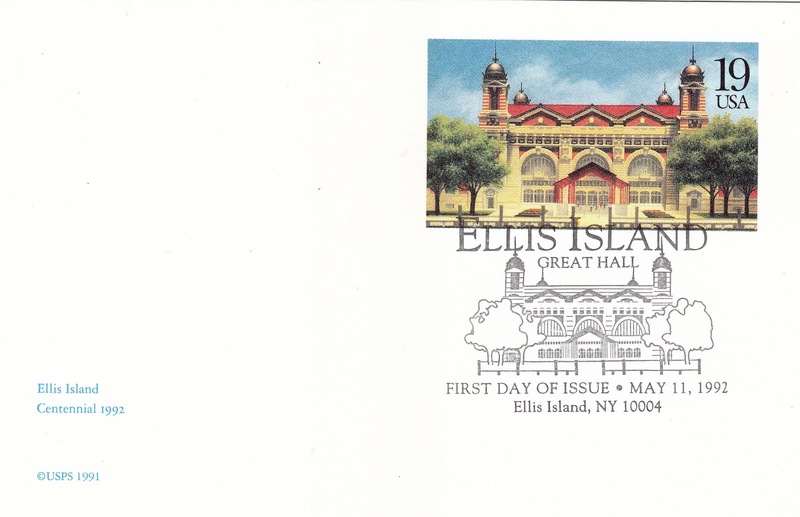 According to the Palm Beach Post, USPS honored the centennial of Ellis Island on May 11, 1992 with a 19-cent historic preservation postal card. First-day ceremonies were held at 11 a.m. just outside of the Great Hall's Museum. The card's indicium, the imprinted stamp with 19-cent pre-paid postage, was designed by East Norwich, N.Y., artist Howard Kos-low. From its opening in 1892 through 1954, more than 12 million immigrants were processed through Ellis Island, located in Upper New York Bay. Today, we celebrate its 124th anniversary.